Video of a Colorado deputy's encounter with a curious, clicking baby owl delighted animal-lovers on Friday after authorities posted footage of the unusual meeting online. 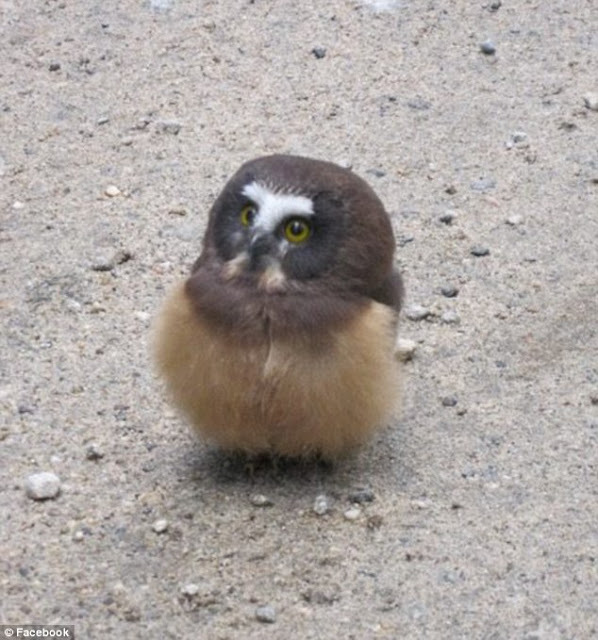 The deputy was driving near the small town of Nederland when she and a colleague were stopped in their tracks by the young northern saw-whet owl, the Boulder County Sheriff's Office said. 'Hi, what's up?' 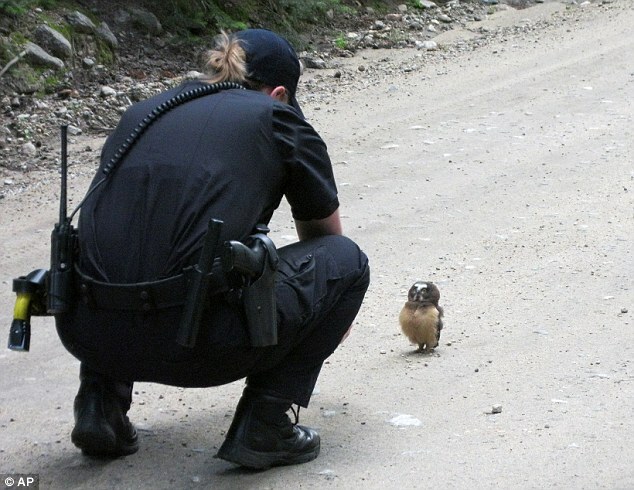 says the deputy in the footage as she approaches the small bird on a woodland road. Unfazed, the young owl clicks back in response. 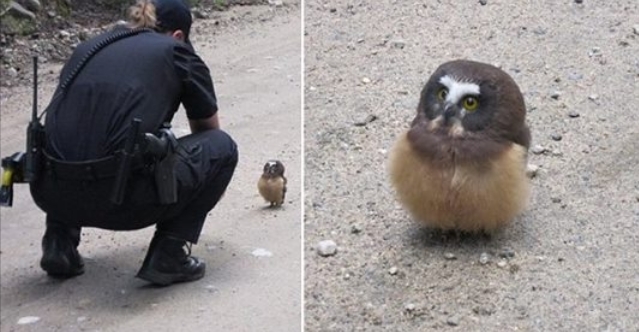 Responses to "Colorado policeman's cute encounter with baby owl is guaranteed to melt your heart"
All She can say is " What's up? Not much Empathy there. That's such a beautiful little owl. I'm glad it flew away on it's own. Thank you for sharing it with us. Uhhh...I'm not sure if you realize it or not but owls don't have a large English language vocabulary. I enjoyed her encounter with the fledgling owl. I see nothing to criticize in her. All animals, including humans, communicate in their language. I'm just glad it wasn't some teenage male out to make some 'Look how much of a jerk I am' video by harassing and/or killing the owl.